The Defense Department office that oversees the F-35 program was criticized by a government watchdog for its plans to delay fixing critical deficiencies on the fighter until after a decision to start full-rate production is made -- a move that won’t come before October 2019. 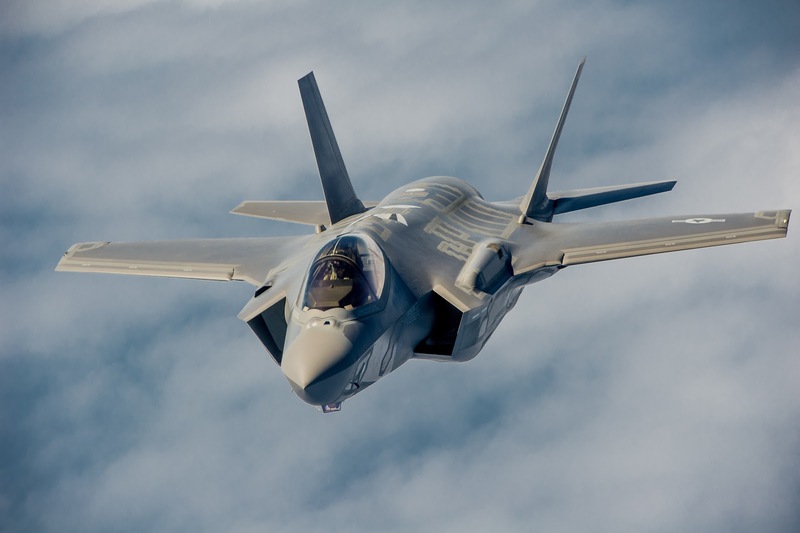 The F-35 -- the world’s most expensive weapons program -- had 966 “open deficiencies” as of January, the Government Accountability Office said in an annual report released Tuesday. Of those, at least 180 “will not be resolved before full-rate production” under the Pentagon office’s current plans, according to the report. The production decision would commit the U.S. to building 77 or more of the Lockheed Martin Corp. aircraft per year over the next 12 years, up from 70 this year. Output would peak at 105 aircraft in 2023 at an annual cost of $13.4 billion and stay at that rate for six years. That makes it imperative for the Pentagon to fix the deficiencies before a decision about production -- the most profitable phase for Lockheed -- is made, the report said. Even if you support this program (and I believe you need to be drug tested if you do) then I still don't get how you can just give this a wink and a nod! The idea that they're about to put into production an airplane that has this many defects, a jacked up modification regime that will leave hundreds of planes unusable and still think its a good idea to go to full rate production is something that a crack whore on Bourbon street wouldn't even think is "something to do". It's almost like someone inside the Pentagon is a Chinese spy wrecking our defense capability from the inside.